Shooting one handed is something we have a tendency not to practice. This is probably because we are pretty horrible at shooting with one hand compared to shooting with our normal two-hand grip. We accept that horrendous shooting though, rationalizing it away because we just have one hand on the gun after all. Really though, that isn’t much of an excuse. The reality is that we may be forced to apply our shooting skill with one hand when it is all on the line. There are plenty of reasons for why this might happen, and there really isn’t much use in listing them all, just use your own imagination. There are two general methods employed when shooting one-handed. 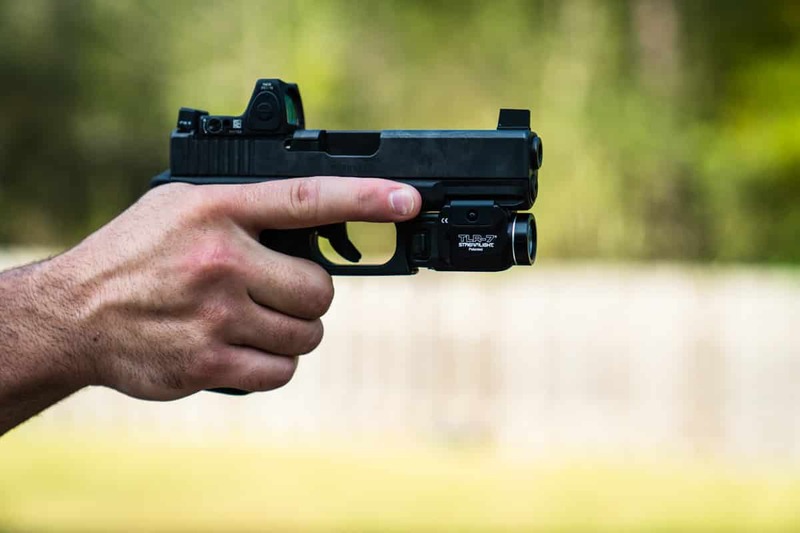 One method used is the “half homie.” This is where the gun is slightly canted inboard, the intent being to strengthen the wrist as the gun is fired, theoretically improving recovery of the sights and speeding the shooting pace. This is the technique that I used to use, and at the time, I thought it was about as good as it was going to get. Around 2012 or so I was introduced to a different technique by Mike Seeklander. When I first tried it, I didn’t buy it. I was not getting the promised results, or at least it didn’t seem as though while I was in class. I knew better than to dismiss it offhand though, and put in some additional work outside of class to really give the technique an honest effort. After all, Mike is a national champion, what he says probably deserves a fair shake. What I found was that Mike wasn’t wrong at all. I just needed more work (as is usual). Instead of canting the gun inboard, Mike suggested keeping the gun vertical. This keeps the gun in a familiar orientation. A big part of shooting well is having the sights travel in a consistent path and return to a consistent location. With the gun canted as people usually do, the gun will tend to recoil in a loop favoring the direction the gun is canted. When we hold the gun vertical like we normally would when shooting, the gun recoils in a more familiar, mostly straight up and then back down pattern, assuming we do our part. There are a couple of key technique points when shooting one-handed this way. One, the shooting hand thumb should be flagged up and used to apply even pressure along the bottom of the gun’s beavertail. This helps to even out the pressure on the back of the gun and helps the gun to recoil in that familiar straight up and down fashion. The other important point is to make sure the entire hand is being used to grip the gun, especially the pinky. Focusing on gripping with the pinky finger will help maximize the leverage our grip has over the recoiling mass of the slide. On really small guns where all of the shooting hand fingers cannot engage the grip, some control will be lost, so keep that in mind. 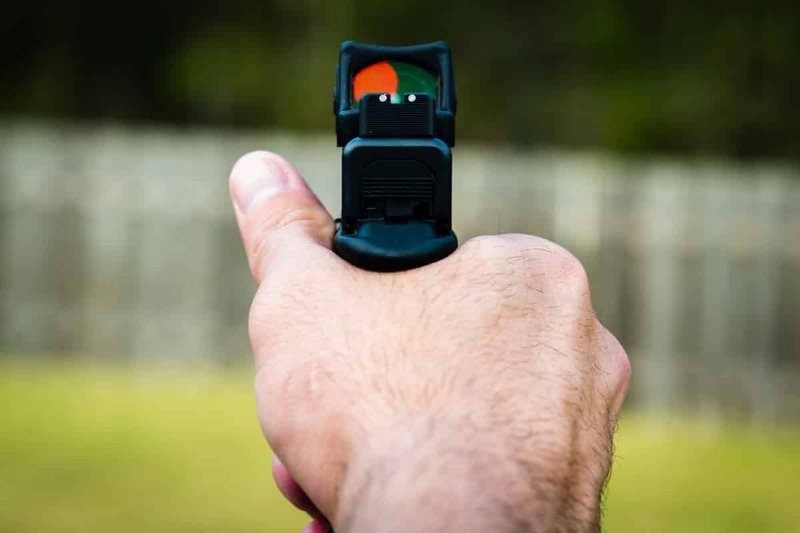 The benefits of this technique may not be as significant on smaller handguns. When applying the grip, there should be considerable pressure pushing up on the beavertail of the gun, and considerable pressure through all of the shooting hand fingers, especially the pinky and ring finger. I have found that when correctly applying the technique, shooting one handed with the gun remaining vertical has facilitated a faster cadence of fire while still maintaining good hits. On average, I see a 1/10th of a second improvement in split times, and better accuracy. Over a string of 5 or 6 shots, that is a half second difference on the drill. It wasn’t an automatic gain though. It did take a bit of time to get the skill to sink in and start to show maximum results. Give it a try, make sure you give it a fair shake, and see how it pans out for you.